With respect to this issue, there is one kind of assessment that uses to be avoided or carried out wrongly, that is, self-assessment. Below, we will illustrate what are the common opinions about self-assessment from both a teacher’s and a student’s point of view. Teacher would say: I prefer not to use self-assessment because my students will do it wrongly or even don’t take it seriously because they think that it is something meaningless or that doesn’t count for the final marks. Student would say: I don’t really understand the purpose of doing self-assessment… for me it is like saying “ok students, which mark do you think you deserve?” and at the end it is forgotten and we are tested as we have always been. Whether true or not, we can notice that many people share the statements that were mentioned before, but how can we change this reality and move a step forward? Below we will show some tips that could help to implement self-assessment in any subject (specially in language teaching). It is important to notice that self-assessment is a process in which students assess themselves, detecting their strenghts and weaknesses; while self-assessment tests are activities by means of which students obtain data to assess their knowledge about an specific topic. 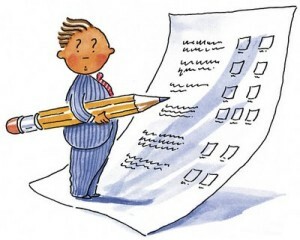 Several self-assessment tests can be carried out during the self-assessment process, but they are not a necessary step, since the retrospective is probably the most relevant aspect of the process. Should self-assessment count for the final mark? Yes, of course. It is important to let the students know that their opinions are important too and that they can also take part in the assessment, as it is part of their learning process. Once they know that their opinions should be taken into account, they will make a bigger effort to do self-assessment properly. However, the specific marks obtained in self-assessment test should not be taken directly into account for the final mark, since they are part of the learning process. If the results of the self-assessment test are taken into account for the final marks, a misuse of this activities can be promoted, and the learning process will be negatively affected. How can teachers teach their students about self-assessment? We consider that it is necessary to spend at least part of a lesson to explain and develop this issue. What we consider vital for achieving good self-assessments in the future is that the teacher puts some emphasis on the importance of carrying it out properly and letting students know that it will count for their final marks. Moreover, self-assessments should be done frequently and this will cause students to see this kind of assessment as normal as a final test. One of the reasons why self-assessment will improve student’s learning processes is that by doing so they will develop a critical thinking. Furthermore, students could change the way (usually very negative) in which they see assessment, as most of them don’t like it or try to avoid it. Apart from what has been said before, self-assessment can contribute to formative assessment as well, since teachers can obtain a more complete feedback of the activities and tasks done in class. Moreover, information about students’ reactions and opinions about those activities will be obtained, including different aspects regarding assessment that probably the teacher had not noticed before. Is there any link to the European Key Competences? Yes, self-assessment is very associated with “sense of initiative and entrepreneurship”. However, it is also related to “learning to learn”, since it encourages students to find solutions to the problems detected during the self-assessment. Finally, it is also related to “social and civic competences”, since it promotes critical thinking. To conclude, bear in mind that Vocabulary Notebook is an educational platform that includes a test section in which students can do several self-assessment activities in order to improve their vocabulary acquisition in a more enjoyable way. Among those activities, students will find multiple choice exercises and matching activities.